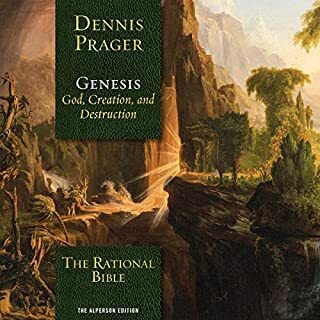 In this visionary book, Dennis Prager, one of America's most original thinkers, contends that humanity confronts a monumental choice. The world must decide between American values and its two oppositional alternatives: Islamism and European-style democratic socialism. 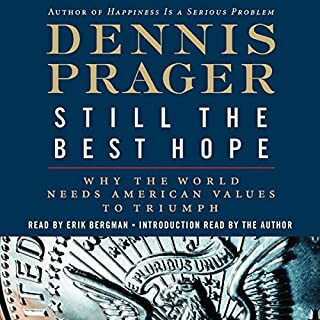 Prager makes the case for the American value system as the most viable program ever devised to produce a good society. Those values are explained here more clearly and persuasively than ever before. 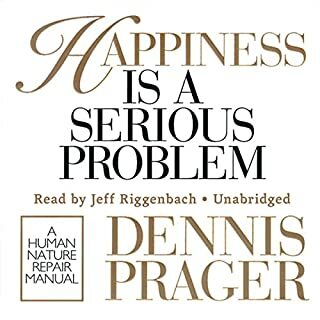 The Dennis Prager Show presents: Best of Happiness Hour 2014. Life is tough. Everyone knows this. But most try not to think about it. This is not a good happiness strategy. Recognizing that life is tough gives you the perspective needed to achieve happiness. From his modest headquarters in Crown Heights, Brooklyn, the Rebbe advised some of the world's greatest leaders and shaped matters of state and society. Statesmen and artists as diverse as Ronald Reagan, Robert F. Kennedy, Yitzchak Rabin, Menachem Begin, Elie Wiesel, and Bob Dylan span the spectrum of those who sought his counsel. Before Dennis Prager was a hardline, crusading neoconservative with a syndicated daily talk radio show he was a scholar of religious history and a moderator of interfaith dialogues. The latter persona is on display in this audiobook presentation of a lecture performed at the 92nd Street Y, in 2008, on the topic of Judaism, specifically themed "Why Judaism?" Using autobiography drawn from his orthodox Jewish upbringing, Talmudic scholarship, and deep familiarity with current geopolitics, Prager places at the center of his presentation the Talmudic dictum: "An ignorant Jew cannot be a pious Jew." Prager calls for "reasoned conviction" amongst his fellow Jewish brethren. His clear, conversational tone and thoughtful voice is always a delight. 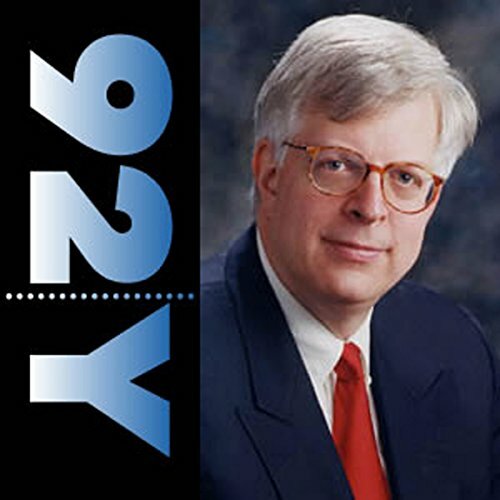 Nationally syndicated radio talk show host Dennis Prager - described in Jewish Week as "one of the three most interesting minds in American Jewish life" - offers compelling arguments in favor of Judaism, developed over many years of speaking to people from virtually every religion and culture. 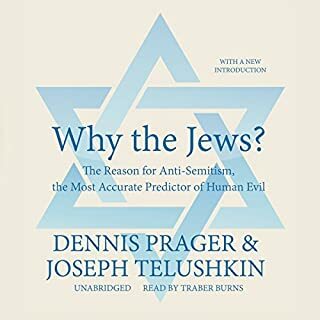 Prager, a popular radio talk show host since 1982, is the author of The Nine Questions People Ask About Judaism, Why the Jews?, The Reason for Antisemitism and Happiness Is a Serious Problem. He has been a columnist for Moment magazine for 20 years. Hearing Dennis read his own work is always a plus! I am a Christian and learned much about Judaism and similarities between the two religions. Dennis Prager is an accomplished oratator. He left me wanting so much more. I will be buying all audio put out by him. This book helped me to understand how to be a better person. Through practical examples and analogous samples of right and wrong. 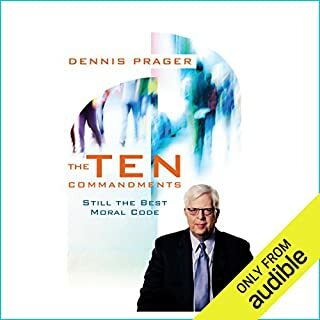 Would you consider the audio edition of Dennis Prager to be better than the print version? yes, his humor and good nature wit comes through in his voice. What was one of the most memorable moments of Dennis Prager? He had several jokes that embellished his story. His friendly demeanor comes to life. Highly recommend. As a christian, I found his view of where morality comes from and how he combines it with reason very insightful. 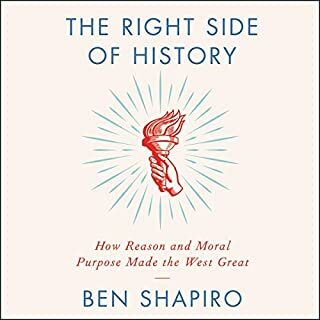 Highly recommend for anyone religious follower willing to add greater depth of their understanding of where morality comes from. Dennis Prager distills Judaism into two parts, being good, and being holy. While making a case for each, he also shows how these two traits are essential to Judaism, while being overlooked by many who focus more on the traditional aspects, i.e. halacha. Great lecture for someone who has never been exposed to Judaism's teaching, as well as for someone with a more traditional Jewish education. awesome speech with amazing points . even though I disagree with portions of it he make a good argument.